Short lives, brilliant works: In a winner-take-all society, we cheer on success and lament stellar artists who die young. We wonder how much further they might have gone if granted more decades to practice their craft. This unanswerable question lies perhaps behind the cultlike regard bestowed on creative individuals cut down in their prime. For an artist, being silenced at one’s peak compares to the loss of a beloved: for survivors, the memory becomes idealized and hard for the merely living to beat. He sets up a premise that is hard to argue. The claim is that these three “extraordinary individuals” are “nonetheless representative figures” from the universe of prodigies who met a premature end. But there are far too many examples of precocious genius to take the argument at face value. (Think Mozart, Mahler, and Bizet in music alone.) Many readers will surely come up with their own examples and easily so. Yet the author does not adequately address such a foreseeable objection. Delbanco is the Robert Frost Distinguished professor at the University of Michigan. He is a prolific writer of fiction and nonfiction himself. He was a wunderkind, too, having published his first novel at the age of 24. Presumably, this makes him simpatico with his subjects. But no, he does not answer the questions he poses about the genesis of genius. Stephen Crane’s Red Badge of Courage, also written when its author was only 24, remains taught in English classes to this day. 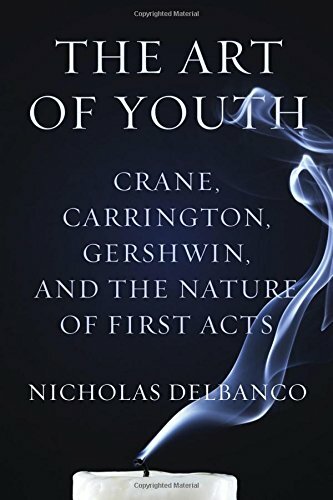 Delbanco depicts him as, “an inattentive caretaker of his own gift.” Crane wrote brilliantly in his youth and then stumbled. For some, fame can be a hefty burden. Talent blazes early, yet accolades and success invariably postpone a prodigy’s emotional development. This issue is not explored—particularly in the case of George Gershwin who was in intensive psychoanalysis for years up until his death. Dora Carrington, a member of the Bloomsbury Group, is now largely forgotten notwithstanding the 1996 film titled after her. Delblanco deems her an artist undone by “self-doubt, ambivalence, and self-destruction.” She is an odd choice, insofar as modern readers are unlikely to be familiar with her work. Even to an older generation she was largely unknown until the first retrospective exhibition of her paintings occurred 38 years after her suicide. An inoperable brain tumor signaled Gershwin’s untimely end. Carrington blossomed early, became depressed, and then shot herself in the heart. Crane died broke and debilitated after bouts of malaria and yellow fever. He succumbed to tuberculosis in the end. Deblanco explores both the blessings and burdens of being a wunderkind. He asks, “Is there a stage of age at which talent takes flight?” He does not say. In the last chapter, he draws on his own early success in literature and his steady output even into retirement. Though meant to be meditative, his personal story feels like an intrusion that detracts from an otherwise attractive analysis.